Consider what level of risk is involved in moving weaned pigs from farrowing to finishing operation. The response to a foreign animal disease usually involves the establishment of disease control areas within which there will be movement restrictions put in place in an attempt to stop disease spread between farms. 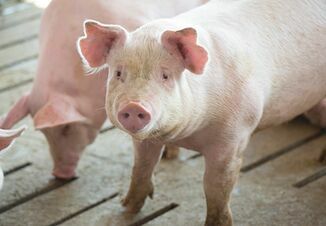 Allowing movement from a disease control area of pigs with no evidence of infection can be done without spreading disease if science-based risk mitigation measures are put in place. Foot-and-mouth disease (FMD) is a vesicular foreign animal disease that affects several domestic and wild animals, including swine. To prevent the spread of a foreign animal disease and enable eradication, outbreaks have often required quarantines that stop all live animal movements. Movement restriction negatively impacts the agricultural industry, related economy and animal welfare. Proactive risk assessments can help to identify strategies that would allow managed movement of animals with an acceptable risk for disease spread. This would allow a farm to continue critical production operations for animals not known to be infected, thereby facilitating the subsequent distribution of safe food and high-quality products despite the outbreak. The University of Minnesota, in partnership with public agencies, other academic institutions, and private industry, conducted a risk assessment of weaned pig movement from a swine farrowing facility to an off-site premise during an FMD outbreak, especially from the point of view of moving infected but undetected pigs. During a FMD outbreak, the risk of spreading FMD due to weaned pig movements can be lowered by applying enhanced biosecurity at the farrowing facility, during transportation and at the destination. Pre- and post movement quarantine periods are advisable when moving pigs from a control area during a foreign animal disease outbreak. 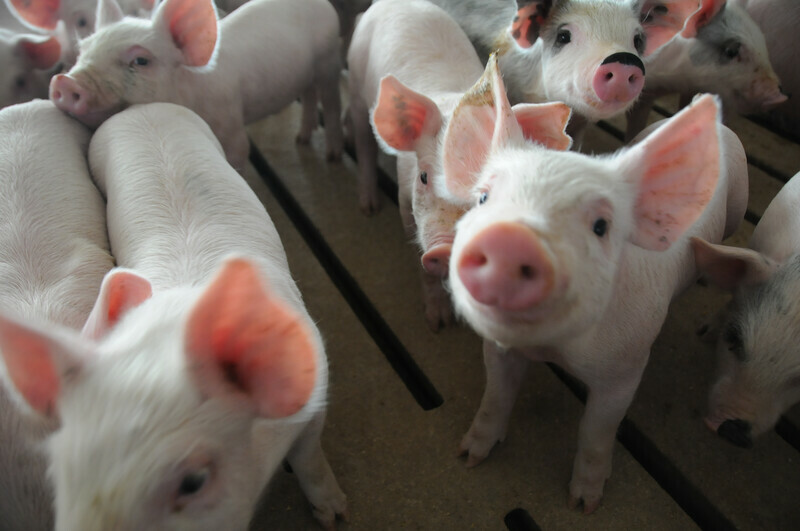 Swine workers’ ability to detect vesicular disease is one of the key elements in ensuring low risk movements and prevention of disease spread. Foot-and-mouth disease (FMD) is a vesicular foreign animal disease that affects several domestic and wild animals, including swine. The role of infected but undetected animals in epidemics has been shown to be extremely important in the spread of the disease. Due to a lack of validated diagnostic assays suitable for on farm sample collection from a population, farmers need to rely on active observation to detect disease. The lowest practically attainable FMD detection limit in the current farm infrastructure occurs when 5% of the pigs in a herd are showing clinical signs. 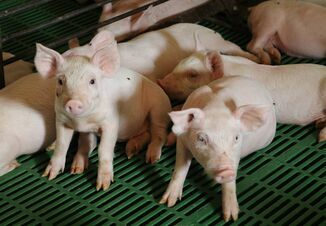 If transporting 10,000 weaned pigs, of which one is latently infected, detection times at destination site can vary anywhere from as few as 5 days to as long as 16 days. It is vital that swine workers are adequately trained to look for and identify foreign animal diseases like FMD, so that infection detection time is as short as possible. Infected but undetected swine are very efficient in spreading FMD, especially to other species. 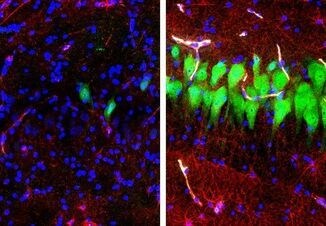 Swine are considered amplifying hosts for FMD, which means that while they themselves will likely not get infected through aerosols, they spread large quantities of virus in their respiratory secretions. Weaned pig movements are low likelihood, high consequence movements. This means that although the likelihood that weaned pigs are infected is low (especially if they come from a farm operating under enhanced biosecurity and skilled active observance), if they do end up being infected this movement will have very high consequences because the disease will very easily spread further. Thus, where these movements allowed, destination sites should also operate under enhanced biosecurity and should not have any other susceptible species on site. Both premovement and post-movement quarantine periods are advisable.